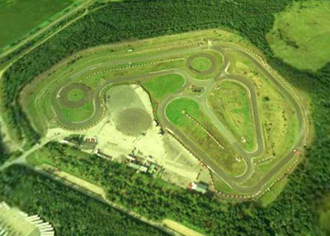 A seriously big kart track ideally situated for drivers in the Mersey/Greater Manchester area who want to experience the thrills of a real outdoor karting venue. Although it caters mainly for larger groups of 10 or more drivers there are ‘open’ events that the enthusiast can join in with on selected days (please call for availability). Head southwest on Appleton Street toward Great George Street then turn right onto Great George Strret. Continue on to York Street then turn left onto Miry Lane and take the first right on to Herbert Street. Continue on to Haig Street, turn left onto Wallgate/A49, take the first right then the next right onto Pottery Road/A49. Continue to follow the A49 go through two roundabouts then turn left onto Bryn Road/B5207. Take the third left onto Lockett Road then take the second left onto Three Sisters Road. A junior-only (8y - 11y) 20-minute non-exclusive practice session driving 120cc single-engine Karts or 12y - 15y driving 160cc single-engine karts. For groups of 10 or more drivers - 10-minutes qualifying to determine your grid position followed by a 20-minute race. For groups of 10 or more drivers - 10-minutes qualifying to determine your grid position followed by a 40-minute race. Full safety briefing then 5-minutes practice, 3 x 8-minute heats plus a 10-minute final followed by the food of your choice. For groups of 10 or more drivers - 10-minutes qualifying to determine your grid position followed by a 60-minute race. There are conference facilities for 20+.